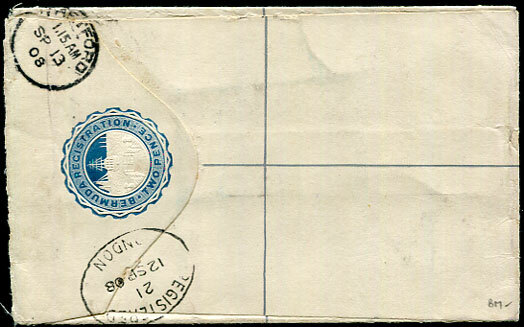 1970 reg. 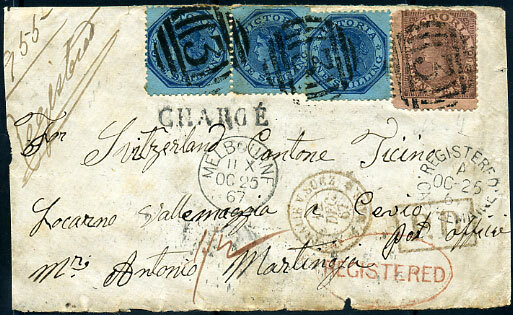 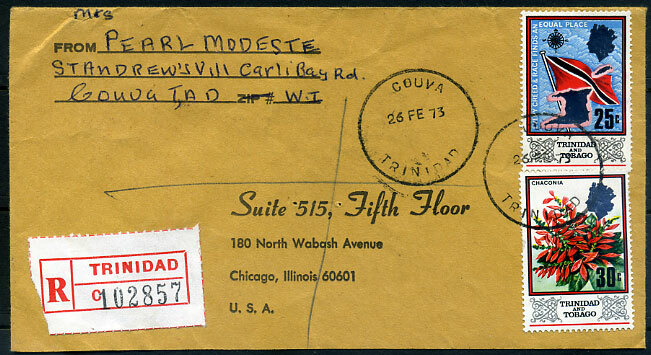 cover to Chicago with 15c, 25c Shell (on face) pmk'd EAGLE HALL D.0.2 d/ring. 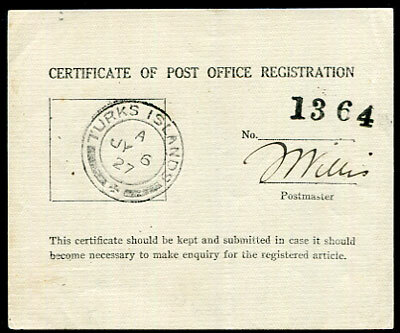 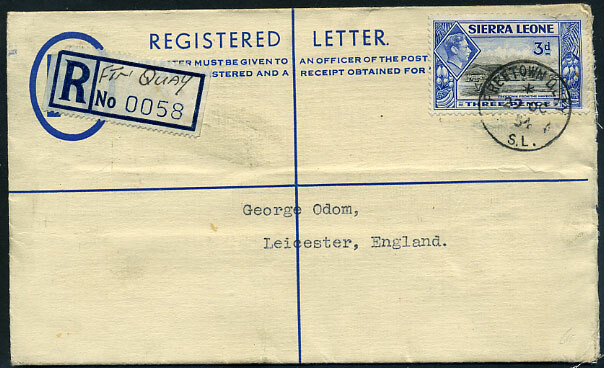 1925 reg. 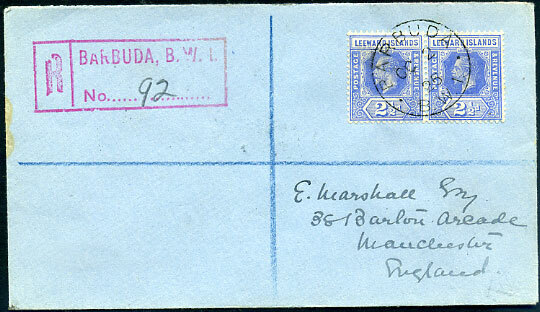 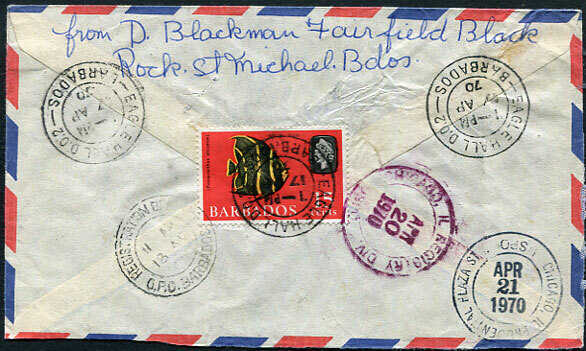 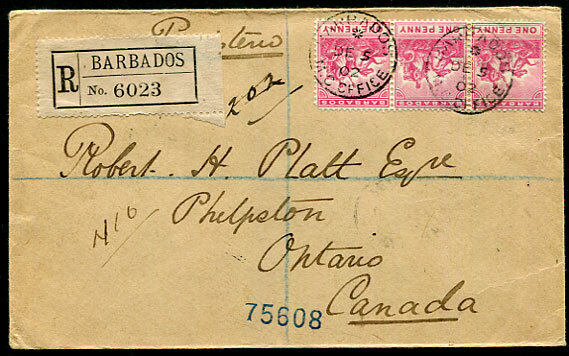 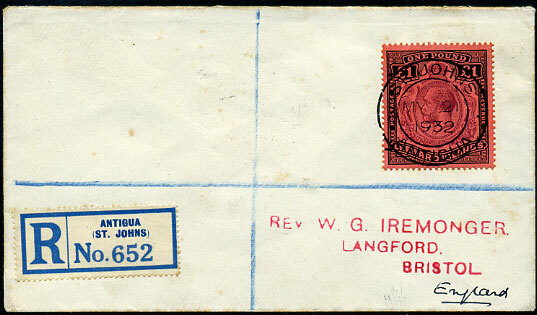 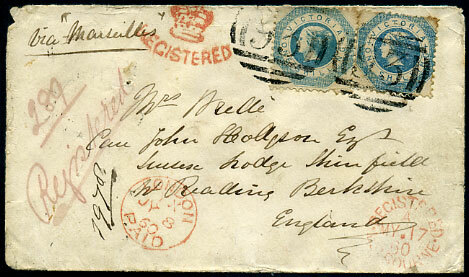 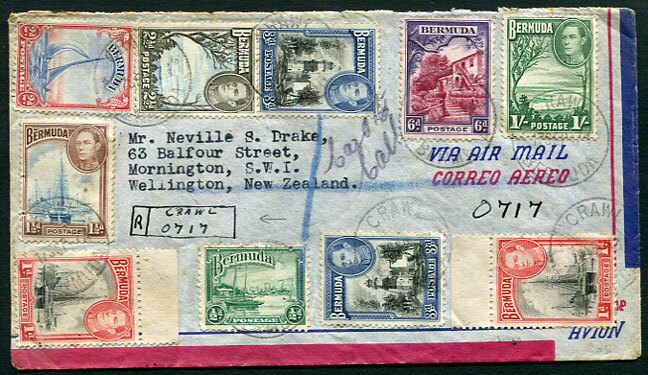 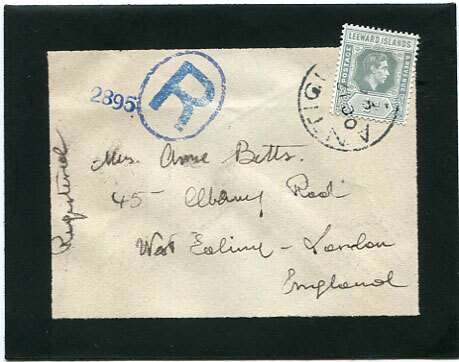 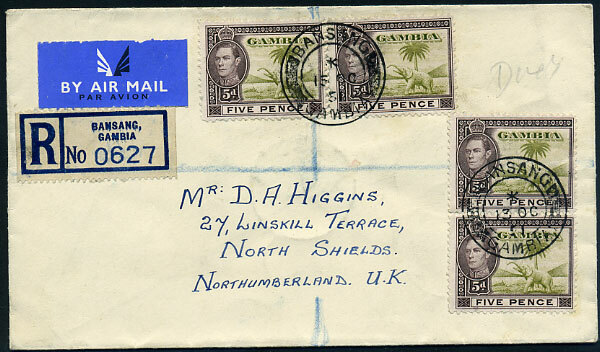 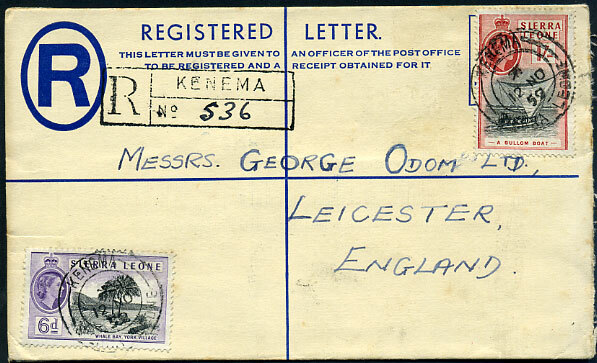 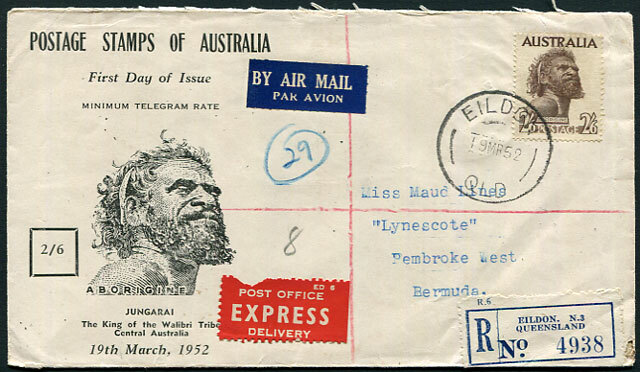 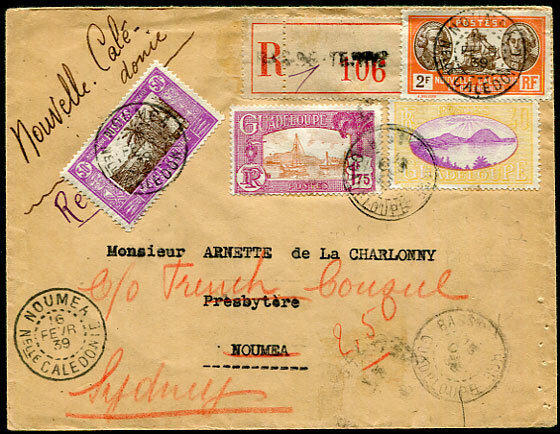 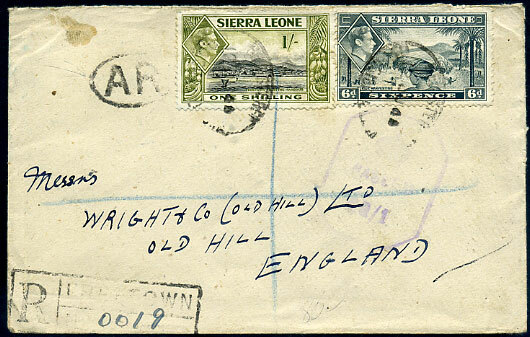 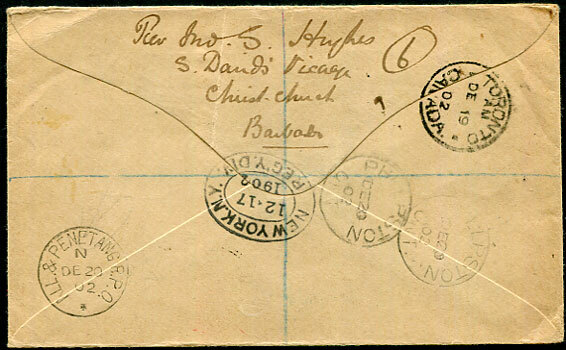 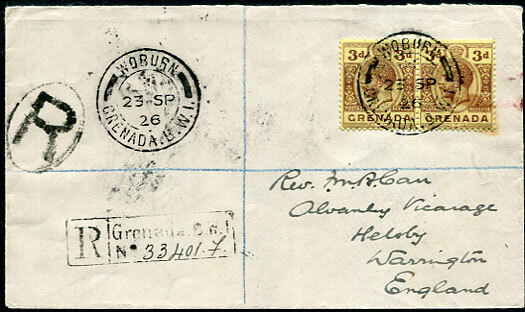 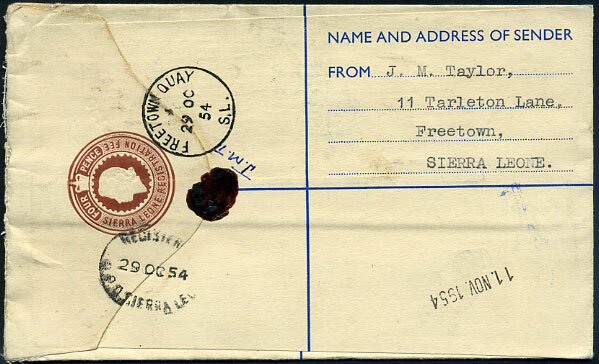 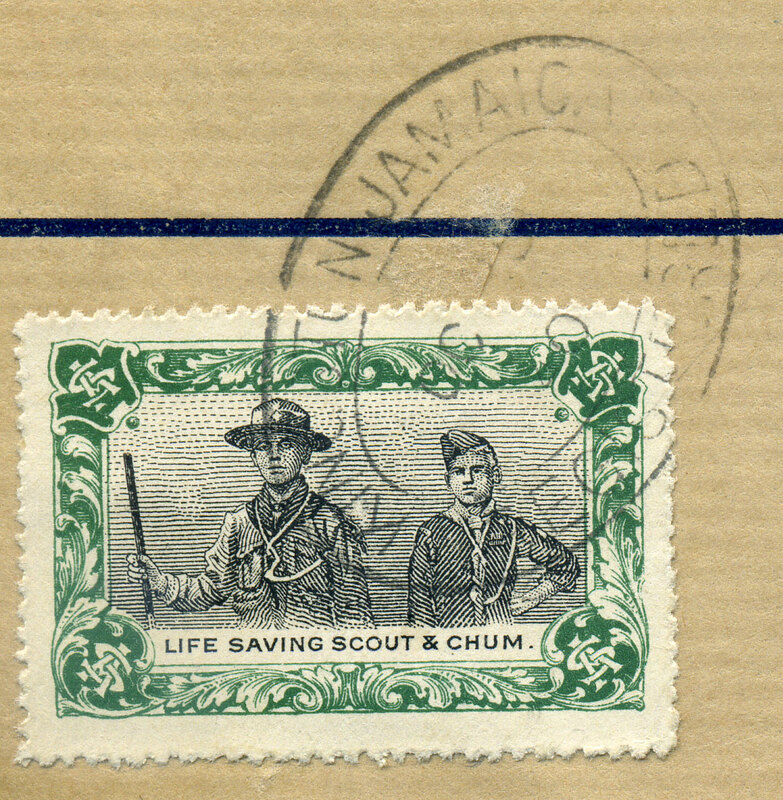 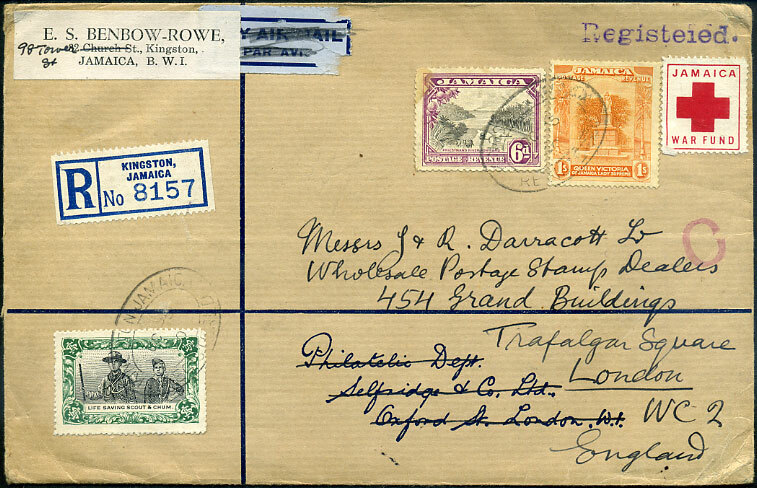 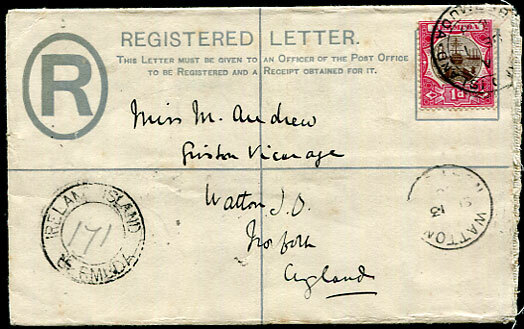 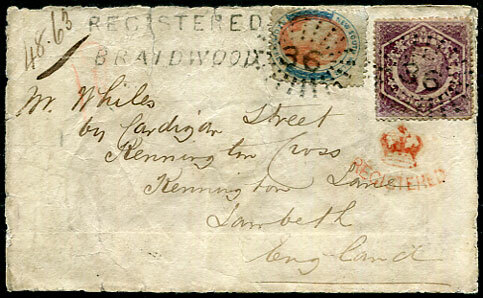 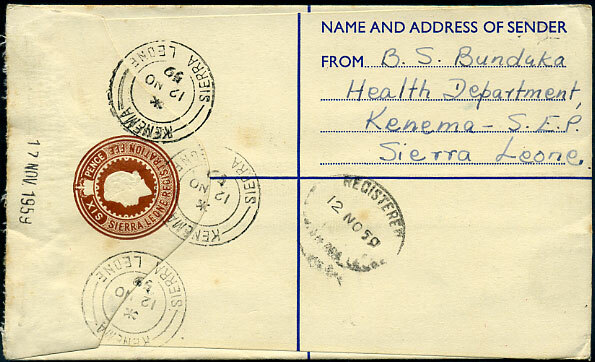 cover with pair Leewards KGV 2½d (SG.50) pmk'd OC 2 25 to Marshall, Manchester.